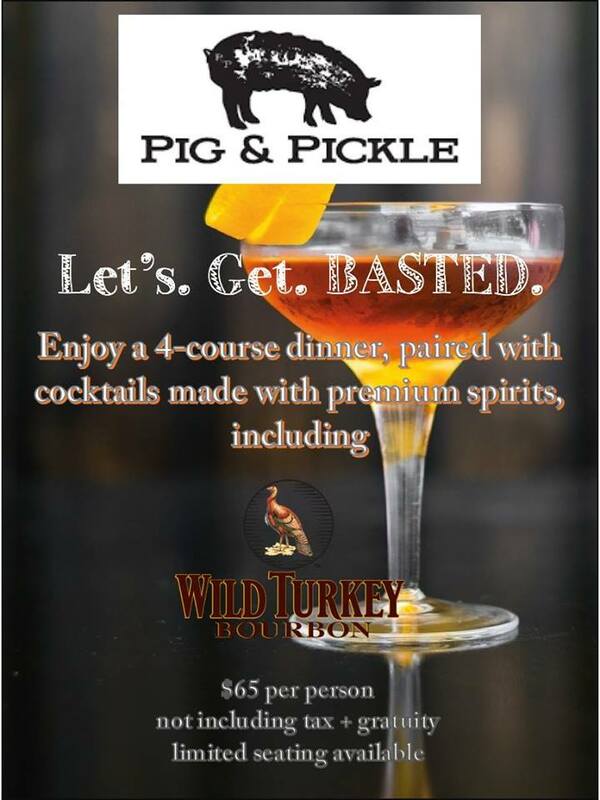 Join us on Saturday, December 15th, starting at 6pm for a special cocktail dinner featuring 4 courses of delicious Pig & Pickle dishes paired with craft cocktails made with Wild Turkey Bourbon & other premium spirits! Enjoy all this for only $65 per person (not including tax and gratuity). Seats are limited, so reserve yours today by calling us at 480.990.1407.